Yummy Veggie Madness recipes from Women's Health Magazine. Cut1 lb fresh brussels sprouts into halves end place on a foil-lined baking sheet. Drizzle with 1/2 Tbsp olive oil and sprinkle with garlic salt and pepper. Roast for 14 to 18 minutes or until tender. Place sprouts in a bowl and drizzle with 1 tsp sherry vinegar or lemon juice. Finely shred 1/2 lb fresh brussels sprouts with the slicing blade of a food processor, mandoline, or knife. Whisk together 1 Tbsp extra virgin olive oil, 2 tsp white wine vinegar, and ½ tsp Dijon mustard and drizzle over shredded sprouts. Toss gently and season with salt and freshly ground black pepper. Divide into 2 bowls and sprinkle each with 1 Tbsp freshly grated Parmesan cheese and 1 tsp toasted chopped walnuts. Bring a 16 oz package of frozen petite brussels sprouts to a boil in 1/4 c water in a large saucepan. Cover and simmer for 10 minutes or until tender. Meanwhile, place 1 Tbsp butter in a medium microwave-safe dish, cover, and cook on high for 30 seconds or until butter is almost melted. Stir 1 tsp extra-virgin olive oil, 1/2 tsp finely grated lemon zest, and 1 tsp lemon juice into butter. Drain sprouts, toss with lemon-butter mixture and season with coarse salt and freshly ground black pepper. Finely shred 1/2 lb fresh brussels sprouts with the slicing blade of a food processor, mandoline, or knife. In a large nonstick skillet, cook 2 tsp olive oil and 1 strip bacon (chopped) over medium heat for 2 to 3 minutes or until bacon is crisp. Stir in 1/2 c chopped onion and sauté for 4 minutes. Stir in shredded brussels sprouts and sauté for 6 to 8 minutes or until tender. Stir in 2 tsp chopped fresh thyme (or 1/4 tsp dried) and season with coarse salt and freshly ground black pepper. Steam 2 c chopped butternut squash in the microwave on high for 6 to 8 minutes or boil it in a large saucepan for 10 to 12 minutes, until tender. Drain well. Heat 2 Tbsp olive oil in a large skillet. Stir in 1 tsp curry powder and cook for 1 minute. Stir in cooked squash and toss gently until well coated. Sauté for 1 to 2 minutes or until squash begins to brown. Stir in 1 Tbsp chopped fresh cilantro end season with salt and pepper. Thaw a 10 oz package of frozen mashed butternut or winter squash in the fridge overnight or in the microwave on half power for 3 to 5 minutes. In a large saucepan, heat 1 Tbsp olive oil over medium, then add 1 c diced onions and sauté for 6 to 8 minutes or until tender. Stir in thawed squash, a 14 oz can vegetable broth, and 1/2 c apple cider. Bring to a boil; reduce heat and simmer for 5 minutes. Purée in a blender with lid slightly ajar so steam can escape. Season with salt and pepper. Ladle soup into two bowls and sprinkle with 1 Tbsp chopped chives or parsley. Preheat oven to 400°F Rinse and drain 2 pints cherry tomatoes and place in a single layer on baking sheet covered with foil. Drizzle with 2 tsp olive oil and season with salt and pepper. Roast 20 to 24 minutes, or until tomatoes collapse and begin to brown at the edges. Remove from oven and toes with a sprinkling of dill or your favorite herb. Use leftovers as toppers for pizza, crostini, sandwiches, or salads. Peel 1 rutabaga and chop into half-inch chunks. Place in a microwave-safe dish with 1/2 c water, cover with plastic wrap, and cook on high for 8 to 10 minutes or until tender. Drain and remove to a bowl. Add 2 tsp butter and 1/16 tsp (a pinch) nutmeg to a small skillet and cook over low heat until butter starts to brown. Remove from heat immediately and stir in rutabaga. Toss gently until vegetable is coated evenly with glaze. and continue cooking, stirring frequently, until bread crumbs brown lightly. Remove crumbs to a bowl; wipe out pan and fill with 2 inches of water. Bring to a boil over high heat and stir in 1 bunch broccoli, cut into bite-size pieces. Reduce heat to medium low and let broccoli simmer for 5 to 7 minutes or until tender. Drain well and toss with bread crumb mixture. Season with salt and pepper and serve. Cut 1 large seeded red bell pepper into thin 2-inch-long strips. Put 1/2 tsp peanut oil in a small nonstick skillet over medium-high heat. Add 1/4 tsp minced garlic and stir-fry for 30 seconds. Mix in bell peppers and stir-fry for 1 to 2 minutes, or until tender but still crunchy. Stir in 4 thinly sliced shiitake mushroom caps and cook for 2 minutes. Add 1/4 c thinly sliced scallion and cook for 1 minute. Remove from heat. 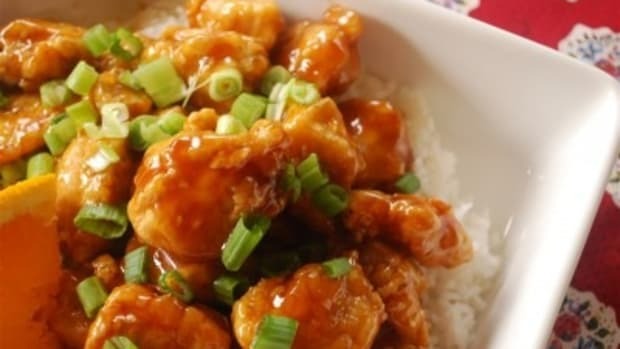 Whisk 1 tsp rice vinegar, 1/2 tsp toasted sesame oil, and 1/8 tsp chili garlic sauce. Pour mixture over vegetables and toss gently to mix. Season with salt and serve. juice, and 2 tsp extra-virgin olive oil. Trim 1 lb yellow string beans. In a large saucepan, bring 2 inches worth water to a boil. Add beans; cover and reduce heat to medium-low. Cook for 5 to 7 minutes or until tender. Toss beans with gremolata (the almond-lemon Juice mixture) and season with a pinch of salt and pepper. Serve hot or cold. Bring 1 c vegetable broth to a boil in a large saucepan. Stir in 5 c fresh cauliflower florets (or thawed frozen florets) and return to boiling. Reduce heat, cover, and simmer for 7 to 9 minutes, or until cauliflower ix tender. With a slotted spoon, transfer cauliflower into a serving dish and cover. Raise heat to high and bring broth to a boil for 4 to 5 minutes or until liquid is reduced to about 2 Tbsp. Whisk in 1/4 c light sour cream, 3 Tbsp chopped fresh chives, and 2 tsp coarse mustard (with seeds). Return cauliflower to pan and toss with sour cream mixture. Season with salt and pepper and serve. Remove tough stems from 1 bunch kale and shred leaves. Heat 2 Tbsp olive oil in a large saucepan. Add 3 cloves garlic (minced) and sauté for 1 minute. Stir in 1/4 tsp crushed red pepper flakes and 1/2 tsp oregano and cook for 1 minute. Option 1: Add shredded kale and 1/2 c vegetable broth to pot, cover, and simmer for 10 to 15 minutes or until kale is tender. Option 2: Add shredded kale, 2 c vegetable broth, and 1 14.5 oz can Mexican stewed tomatoes (chopped) and simmer for 10 minutes. Season either version with salt and pepper. Seed and chop 1 small green bell pepper and place in a small bowl. Stir in 2 Tbsp crumbled feta cheese, 1 Tbsp finely chopped red onion, and 1/2 Tbsp chopped fresh oregano (or 1/4 tsp dried). Whisk together 1 tsp red wine vinegar and 1/4 tsp Dijon mustard in a small bowl, then add 2 tsp extra-virgin olive oil. Drizzle over pepper mixture, toss gently, and season with salt and pepper. Place 1 Tbsp olive oil in a large saucepan over medium heat. Stir in 1 c chopped red cabbage and sauté for 4 minutes. Add 1/2 c finely chopped apple and continue cooking for 2 to 3 minutes or until apple is tender. Then add 1/3 c water, 1/4 c apple cider, and 2 Tbsp apple cider vinegar. Bring to a boil; cover and simmer for 10 minutes. Season with salt and pepper. In a small dish, blend 1 Tbsp butter, 1 tsp honey mustard, and 1 tsp olive oil with a fork. Cover and set aside. Peel 2 turnips and cut into half-inch pieces. In a large saucepan, bring turnip pieces to a boil in 1/2 c water, then cover and simmer for 22 to 26 minutes or until tender. Drain well and place in a serving bowl. Stir in butter mixture and 3 Tbsp chopped fresh parsley; toss gently to combine. Season with salt and pepper. Preheat broiler. Cut 1 orange or yellow bell pepper in half lengthwise and remove seeds and veins. Place pepper halves, skin side up, on a foil-lined baking sheet. Flatten pepper with your hands. Broil for 7 to 9 minutes or until skin blackens. Remove from oven. Bring edges of foil together and seal to make a tightly closed package. Let pepper steam in package for 15 minutes. Remove skin and slice pepper lengthwise into thin strips and place in a bowl. Whisk together 1 tsp sherry and 1 tsp olive oil. Stir in 1 tsp chopped fresh thyme (or 1/ tsp dried). Drizzle vinegar mixture over peppers and toss gently to mix. Season with salt and pepper. Preheat oven to 400°F and brush a baking dish lightly with olive oil. Cut 2 small, unpeeled acorn squash crosswise into half-inch- thick rings. Scrape seeds out of the center of each ring and discard. Place rings in a large baking dish, spreading them out to keep them in a single layer with some overlap. Brush 1 Tbsp olive oil over rings and sprinkle with salt and pepper to taste. Bake for 20 minutes or until tender and beginning to brown lightly. Drizzle 1 Tbsp honey over baked squash and sprinkle with 2 Tbsp finely chopped walnuts. Return pan to oven and bake for 6 to 8 minutes or until nuts are lightly browned. Peel 1 small jicama and cut in half lengthwise. Shave each half into very thin slices using a mandoline or sharp knife and place in a bowl. Peel 1 small red beet and shave into very thin slices. In another bowl, whisk together 2 Tbsp orange juice and 11/2 tsp extra- virgin olive oil and pour over jicama-beet mixture. Toss gently to mix; season with salt and pepper. Prick 1 medium russet potato several times with a fork and microwave on high for 8 to 10 minutes, until tender. Let cool slightly; cut in half. Scoop out flesh, leaving a quarter-inch border next to skin, into a bowl. Add 3 Tbsp reduced- fat buttermilk, 1 thinly sliced scallion, 1 Tbsp finely chopped sun-dried tomato pieces in olive oil, and 1 tsp butter; mash with scooped-out potato. Season potato mixture with salt and pepper and stuff back into potato halves; sprinkle with 1 Tbsp Parmesan cheese and broil until bubbly. Do you associate a quick and easy meal with fast food and microwaveable dinners? Well, if that’s the case, it’s time to get up to speed –Women’s Health cooks up SIX savory meals with MINIMAL ASSEMBLY REQUIRED included in the April issue on newsstands now! 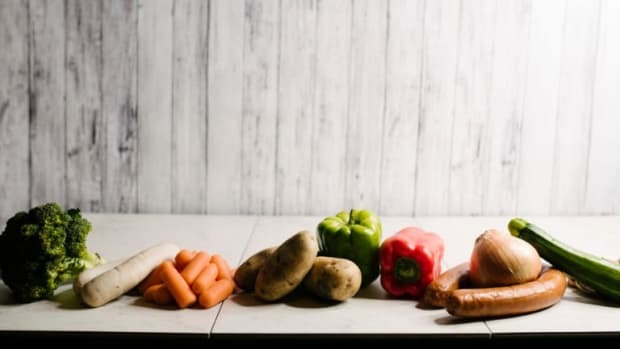 It all boils down to PRE-PACKAGED FOODS – these items may be more expensive at the checkout line, but these days time is money – at the end of a long work day, it’s worth every penny! 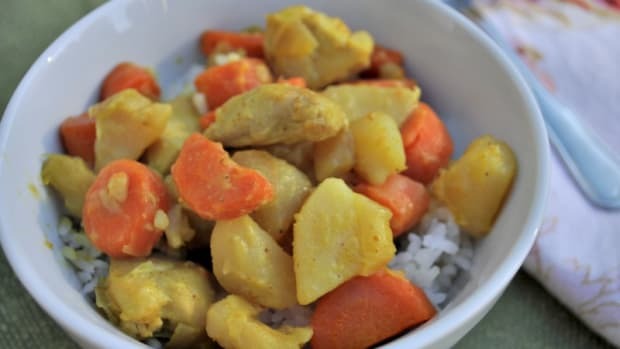 Based on my favorite Hong Kong rice box, this Yellow Chicken Curry Recipe is spicy enough to have adults and kids happy at dinner. A big chill has set in across the nation; lift your spirits and your internal temperature with hot and healthy soups. 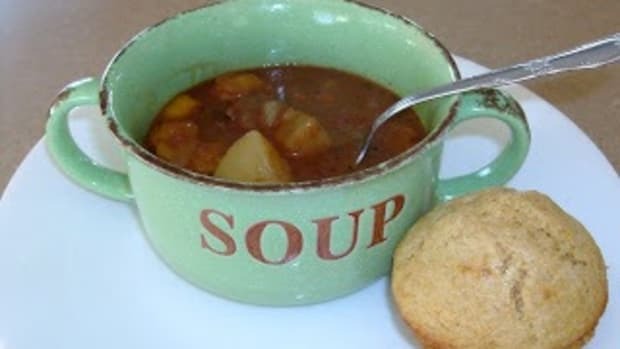 Simple, comforting and delicious, these soups offer contentment in every lovin’ spoonful. A festive time of year is upon us! 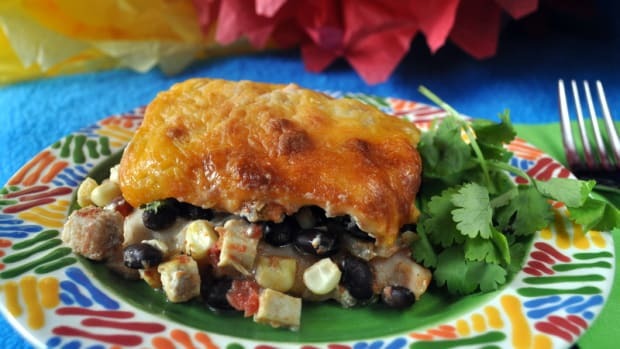 Cinco de Mayo - the best excuse ever to eat lots of my favorite food. 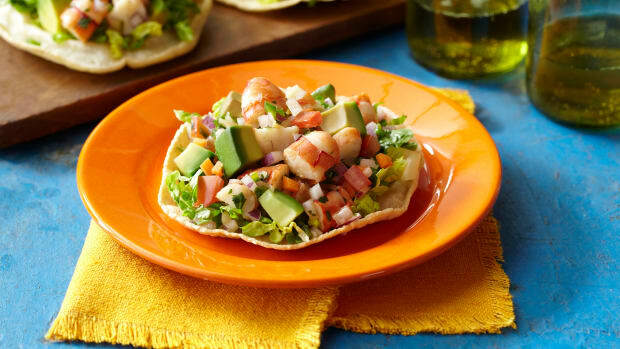 To celebrate, we've got a little recipe for tostadas to help you bring the feast to the fiesta!